A reunion we've all been eager to see finally happens in this adorable rom-com set at a law firm. Oh Yoon-Seo (Yoo In-Na) is an Actress whose fallen from grace after being tied to a scandal with a Chaebol and accusations of drug use. With her career on the brink of falling apart completely, she reluctantly agrees to work at a law firm in order to study the field for a drama role, which is her last saving hope. What she could have never imagined is being placed under the guidance of Kwon Jung-Rok (Lee Dong-Wook) the ace Lawyer at the firm who's particular and closed-off from others. Stuck with one another, Yoon-Seo becomes the clueless Secretary to a perfectionist of a Lawyer for several months, with their clashing leading to a sweet romance. When casting news broke out, I was like anyone else and elated to see a Sunny and Grim Reaper reunion and this statement isn't simply because the same couple in Goblin are paired once again and presenting a love-line here, but because the characters themselves seem strikingly similar to the fourth lives depicted in Goblin. Sunny as a successful Actress and our lovable Grim Reaper as a Detective...see where I'm going with this? Touch Your Heart obviously doesn't revolve around reincarnations of a previous TvN series but I'll take a good guess that the Director and Casting Director were clearly aware of the chemistry, the agony, and the bittersweet feelings our Goblin couple gave us. And let's be honest, it's an easy way to gain publicity without even really trying. Touch Your Heart characters are quite different however, and it's already visible to see where our characters make up for the other's flaws. Yoon-Seo is highly positive but in a way that doesn't leave you wishing she were less dense since Yoo In-Na has somehow been able to deliver a female lead that's clueless and bright but definitely not stupid. I had my worries when watching the first episode, that we'd have just another pretty face of a leading character who somehow gets adored by others while the male lead simply falls for her because of her existence being the missing piece of his life, regardless of the essence of her character or if she contains real personality. These thoughts were quelled when Yoon-Seo takes initiatives to be a proper Secretary, and if taught well, she's capable of doing just about anything. Her strength and positive demeanour awe Jung-Rok more than anything since she maintains a vibrancy of being a carefree and sweet personality in the midst of rumours and constant gossip about her past. And that's saying quite a bit about her character since her muddled past has damaged her beyond what anyone can see but she still tries to move on, looking towards the future where she'll rise to fame once more. Jung-Rok on the other hand, isn't a bad guy whatsoever but stoic in the sense that he wants to maintain a distance with others and focus solely on his job. A tangled love and possibly broken heart are to blame for that but his constant lack of emotion and need for professionalism don't come across as annoying at all. 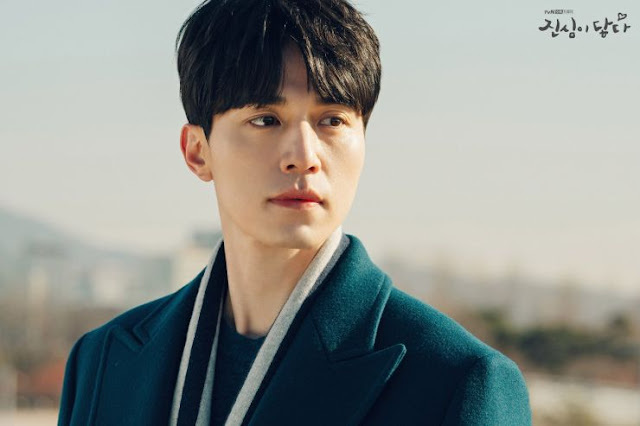 He's quite reserved and very quiet for the most part but he isn't robotic like Nam Se-Hee from Because This Is My First Life, merely lacking expressions on most occasions. 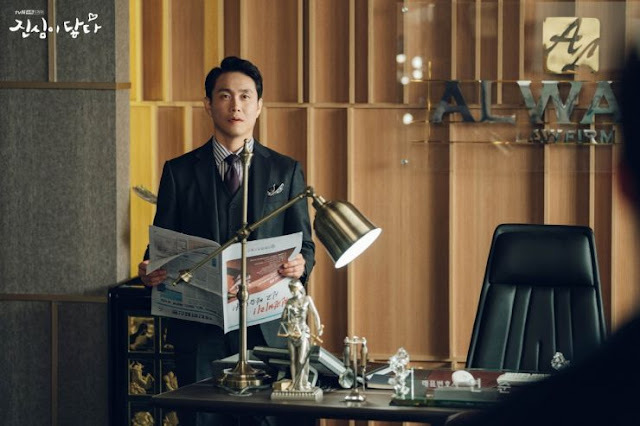 A bright and vibrant character coming into contact with an unsociable Lawyer, indicates how Yoon-Seo makes up for Jung-Rok's unconscientious behaviour at times since she makes it adamantly clear where he's gone wrong. 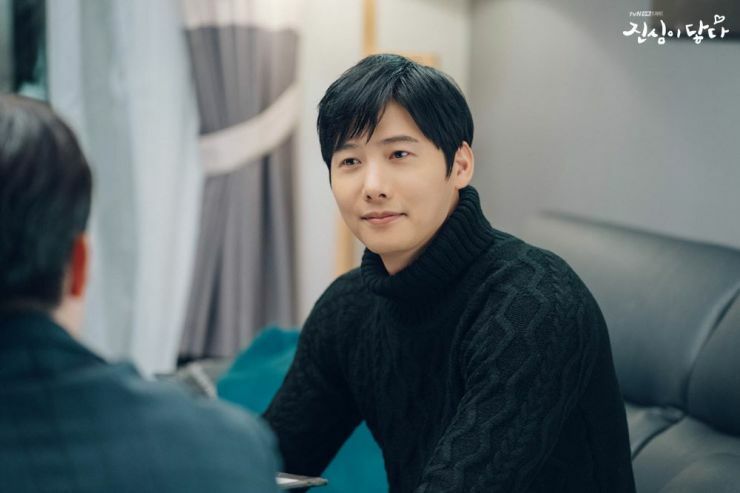 And Jung-Rok makes up for her shortfalls as well, because Yoon-Seo needs someone who won't fall at her feet simply for being a Hallyu star but someone who goes out of his way to treat her ordinarily, even going as far as calling her by her given name. I actually enjoyed the pacing of the premiere the show has laid out as the drama is steady with not too many comedic moments although when delivered, it's a riot. 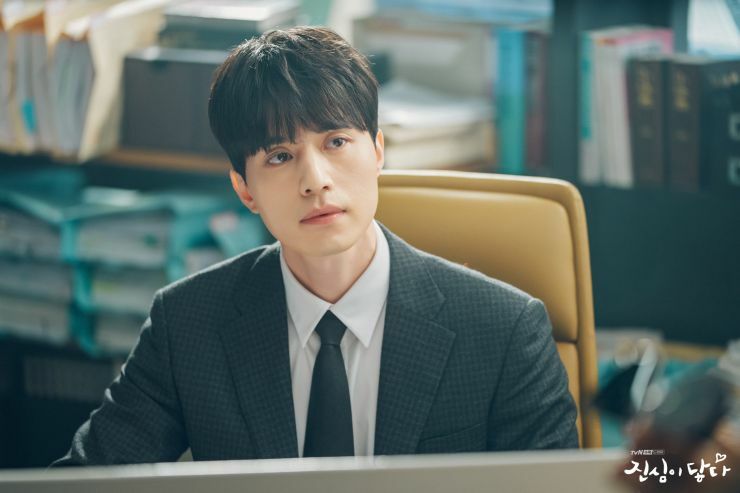 I'd definitely say this leans more towards the romance and as Yoon-Seo begins to get more involved with Jung-Rok's cases, and interacts with his clients, it'll be interesting to see where the drama takes the comedy or if the cases will be outrageous themselves. I did anticipate more slapstick comedy, so the drama took me by surprise by setting a different tone and atmosphere than What's Wrong With Secretary Kim and it's evident that they're both distinctive dramas with diverging elements that work in the genre category either way. 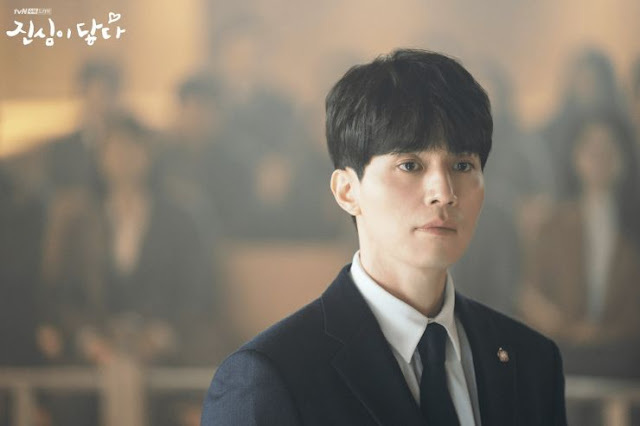 Although the entertainment factor in What's Wrong With Secretary Kim was much higher and felt like a real webtoon come to life, Touch Your Heart is much more subdued with a comedy arch we've dealt with before despite the fact that it's also based on a web novel and helmed by the same Producer. It's lighthearted with a solid premiere and this is one couple you can pour your hopes into for delivering exceptional chemistry. With a secondary cast that's also made up of solid actors and a story progression that's emotional, funny, and sweet all at once, this might be the newest rom-com addiction of the year that fans have been waiting for.